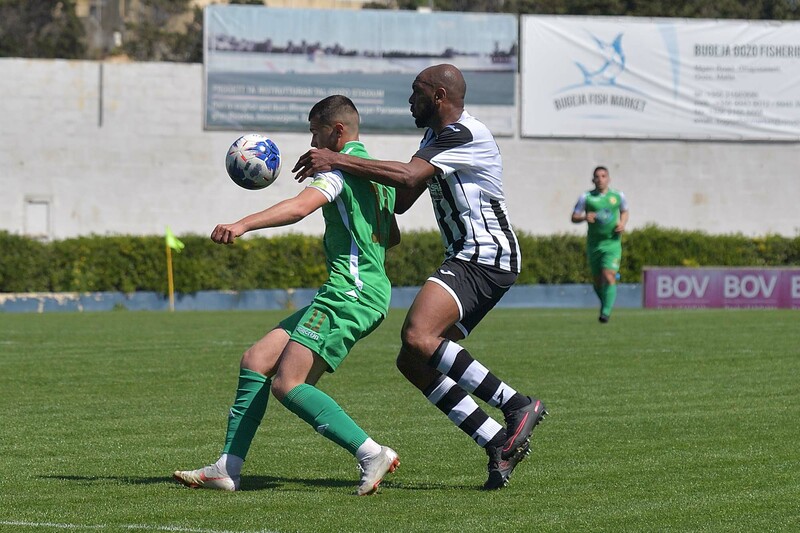 Xuereb, L. Silva Lopes, K. Mercieca, C. Hili, Al. 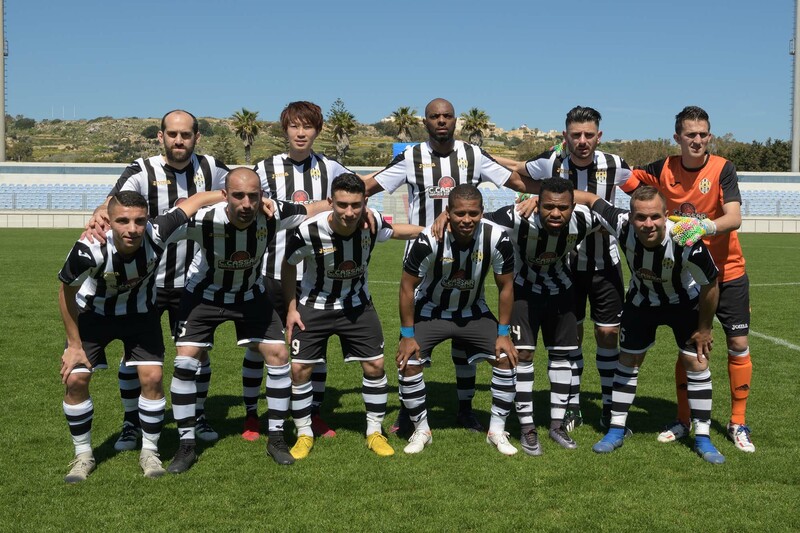 Xuereb, N. Damba, D. Mercieca, A. Camilleri, K. Grima (D. Hili), L.A. De Melo Lima, J. Sato. 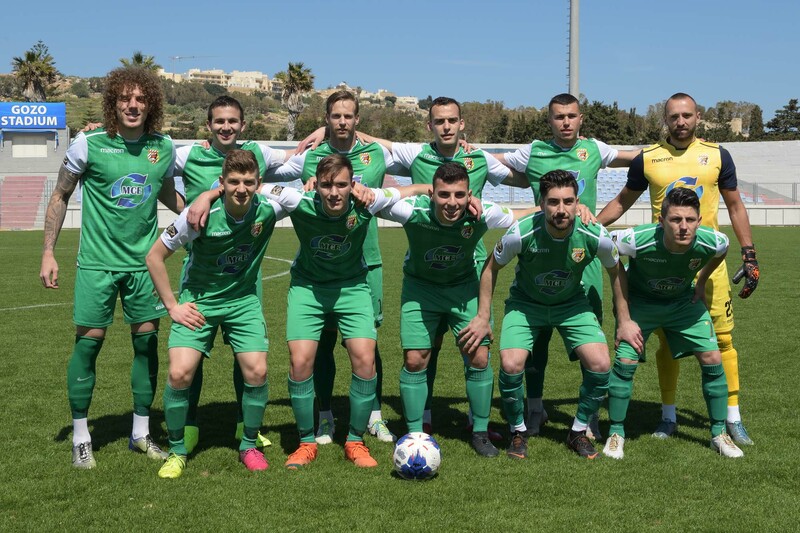 Dizdarevic, D. Cassar, A. Azzoaprdi (C. Caruana), A. Debrincat, T. Vella, M. Hrubsa, Mercieca, O. Spiteri, J.P. Mizzi, M. Perisic, F.A. De Oliviera. Kercem Ajax scored two goals during the first half on of their match against Ghajnsielem and paved the way to an important 2-1 win so that they moved away from the red zone of the table at a crucial stage of the championship. Kercem surprised Ghajnsielem during the first half as they protected their area and operated with counter breaks. 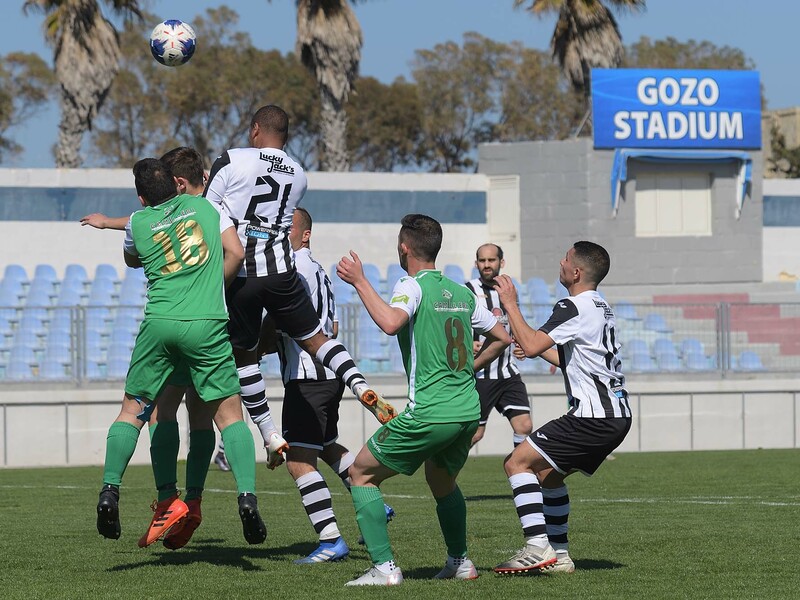 Ghajnsielem seemed fragile at their defence and compromised the possibility to obtain a positive result at an early stage of the encounter. 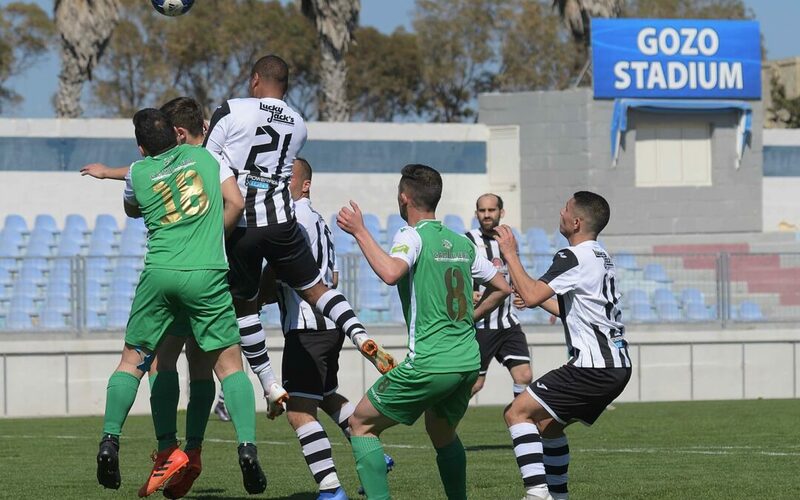 Ghajnsielem seemed more confident during the opening minutes of the match as they saw more of the ball and they also tried to justify their comfortable position on the table. 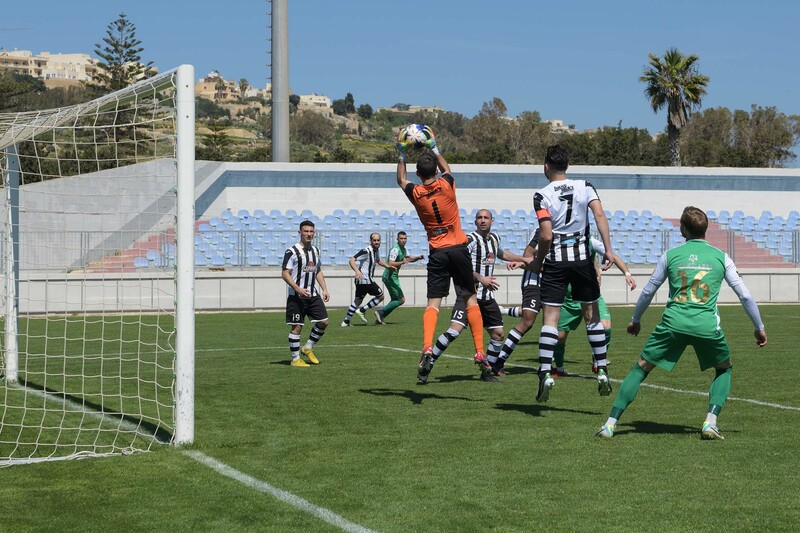 However, the Blacks failed to produce any danger through their possession and the first serious attempt at goal arrived on 6 minutes from Kercem through a shot by Jean Paul Mizzi that was saved by goalie Lorjean Xuereb. 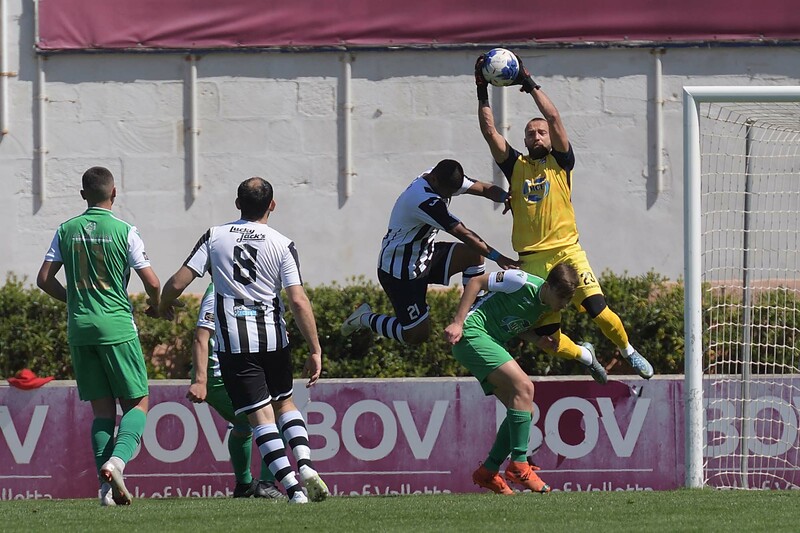 Ghajnsielem replied on 11 minutes through an effort by Charles Hili that was weak and easily neutralised by goalie Vladimir Dizdarevic. 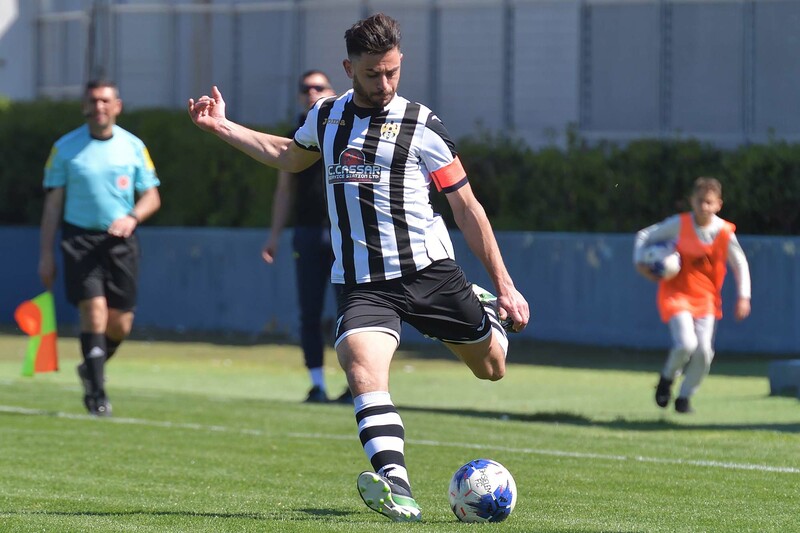 Kercem opened the score on 14 minutes through a direct free kick by Felipe Augusto De Oliviera that ended out of the reach of Ghajnsielem’s keeper. Ghajnsielem’s reaction arrived on 23 minutes when Antoine Camilleri entered Kercem’s area but his attempt from an angled position ended away from Kercem’s goal. On 29 minutes Ghajnsielem’s Junki Sato crossed inside Kercem’s area following a corner action but a header by Luis Andre De Melo Lima was cleared off the fatal line by defender Nathaniel Mercieca. 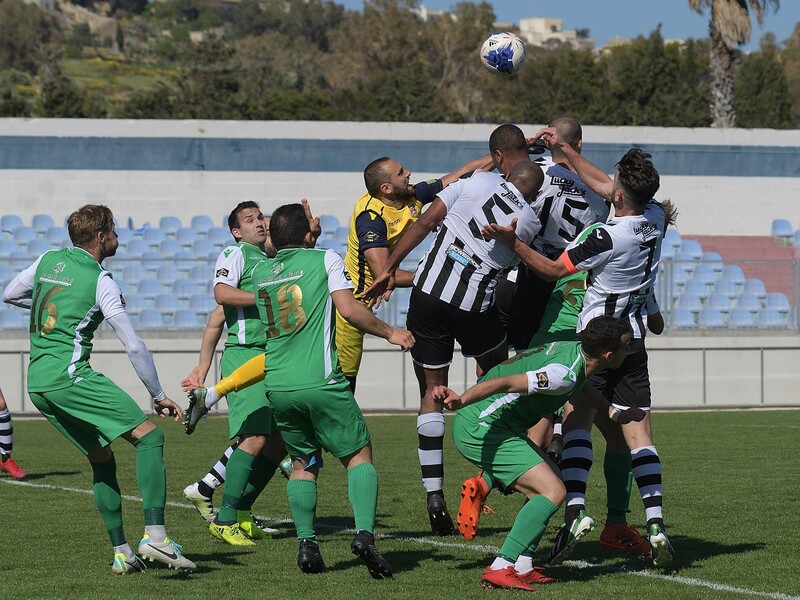 In the following action another header by Ghajnsielem’s Luis Andre De Melo Lima from a cross by Kurt Grima ended high. 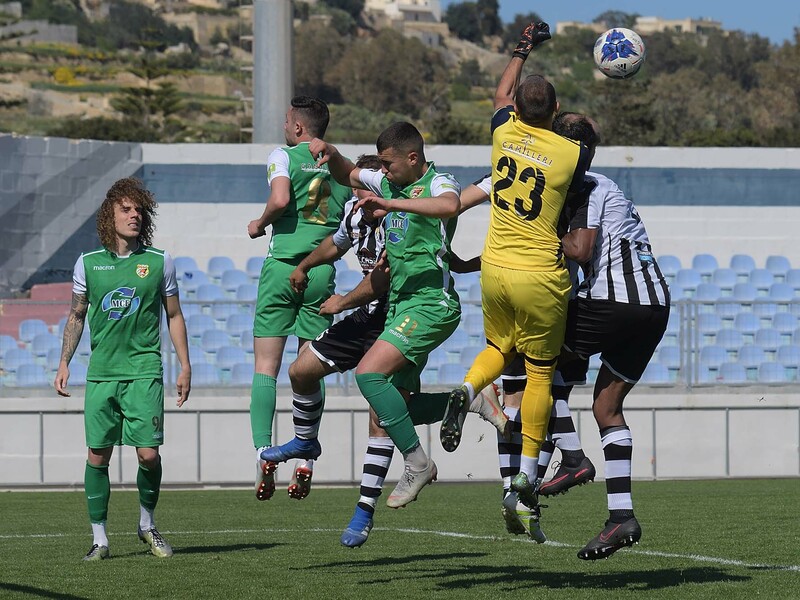 Ghajnsielem went again close to level the score on 37 minutes but a shot by Kenneth Mercieca following a fine move by Alberto Xuereb was well saved by Kercem’s keeper Vladimir Dizdarevic. 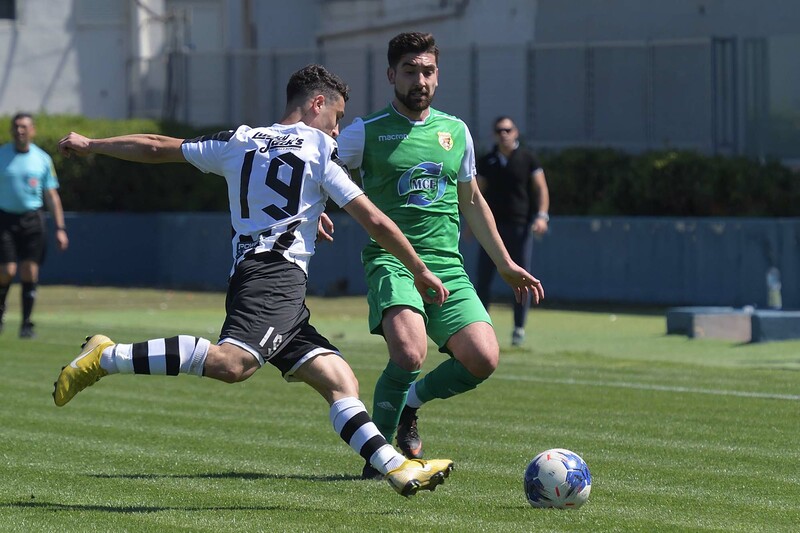 One minute later Ghajnsielem’s Antoine Camilleri once again produced a personal action inside Kercem’s area but ended on the floor following a challenge with Owen Spiteri but his protests for a penalty were to no avail. 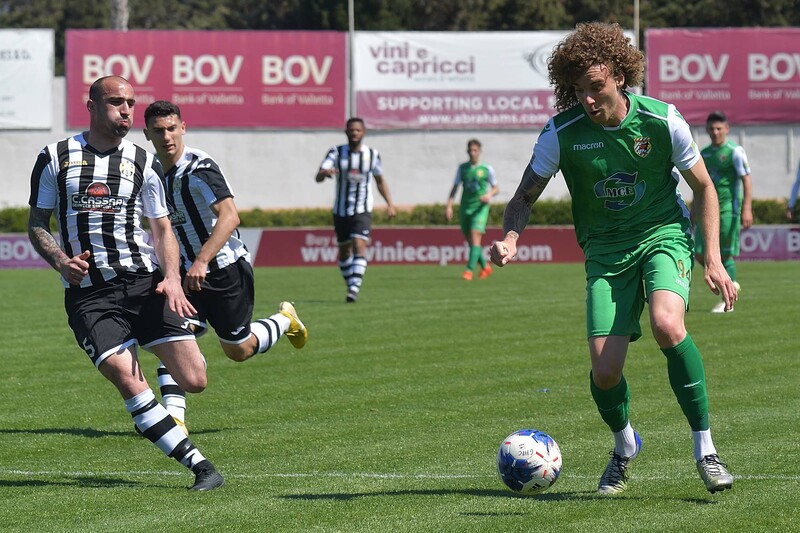 Kercem doubled the score on 44 minutes through a header by Jean Paul Mizzi following a free kick form long distance by Andre Azzopardi. After the break Ghajnsielem tried to keep pressure on Kercem’s defence but the striker found it very difficult to create serious scoring opportunities. The first serious attempt at goal of the second period arrived on 77 minutes through a header by Luis Andre De Melo Lima following a cross by Junki Sato that was saved with some difficulty by goalie Vladimir Dizdarevic. Two minutes later Kercem’s keeper was well placed and deflected the ball following a low cross by Junki Sato so that from the resultant melee Antoine Camilleri’s attempt towards goal was cleared from the goalmouth to a corner by defender Owen Spiteri. 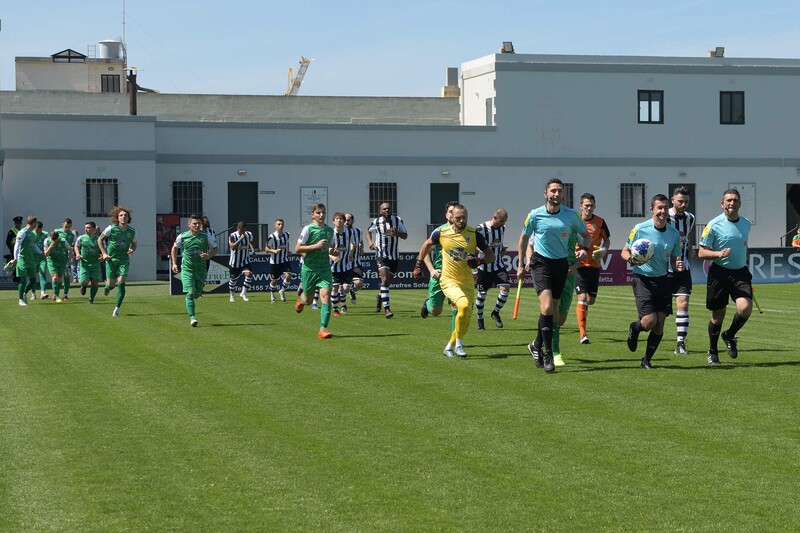 On 88 minutes Ghajnsielem protested for a penalty when goalie Vladimir Dizdarevic failed to hold the ball following a cross by Junki Sato and the Blacks alleged handling in the attempt of the defence to clear the ball from the area so that at the end the goalkeeper recovered his position and saved the danger. 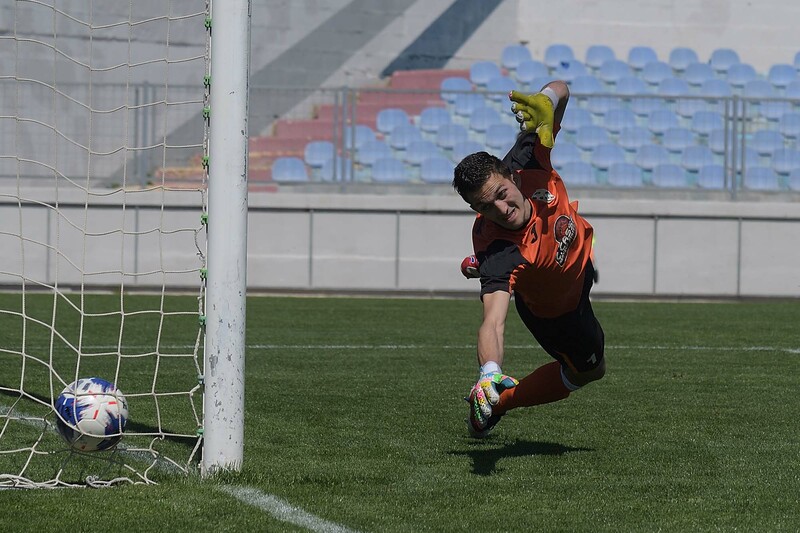 Ghajnsielem scored their consolation goal on 90 minutes when Alberto Xuereb passed to Antoine Camilleri at the edge of the area and the latter fired in goal as he came face to face with the goalkeeper.